I use phpStorm for my projects, but It has some issue. When I typing code and press ENTER, but cursor is not indent. Thanks for your reply, but it's not successful ! When I press ENTER, a new line appear with a cursor not indentation. What are your PHP->Tabs and Indents settings? I understand why it is not indentation ! If I delete the end php tag, indentation will not work. 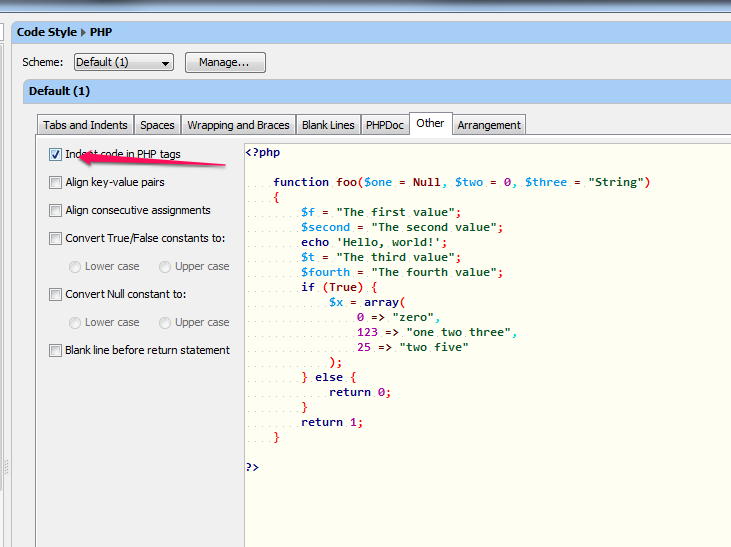 So, I have to add the end tag php to auto-indentation when press Enter. No, it should not work like that (and doesn't on mine.) Windows, Linux or Mac?